Flights will begin to land at Sphinx International Airport in Giza in the summer of 2018, Sherif Fathy, Civil Aviation minister said on Saturday. Fathy announced that the airport, built west of Cairo on the 45th km on the Cairo-Alexandria Desert Road in Giza, is set to receive flights next summer season. 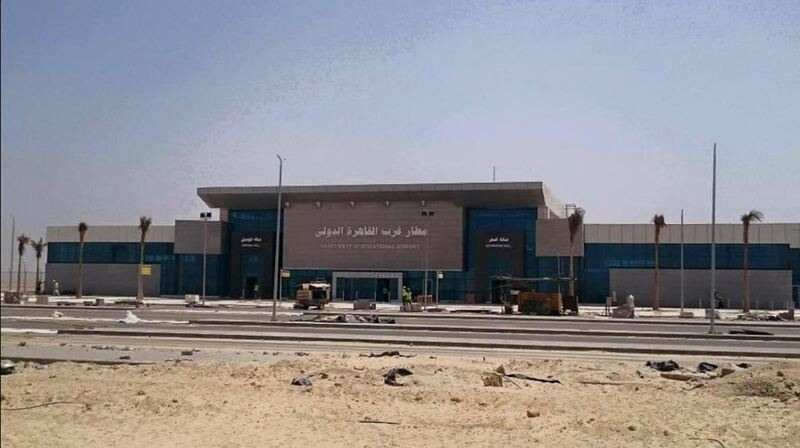 The airport is being constructed by the Egyptian Consultancy Company at a cost of EGP 300 milion, hoping to ease pressure on Cairo’s main airport. The new airport has been dubbed the “300 passenger airport” for its accommodation capacity per hour. Fathy said in earlier statements that the new airport has “strategic goals,” with a plan to expand to cargo services moving forward. He added that once inaugurated, the airport will serve tourists to visit the Grand Egyptian Museum (GEM) and the Great Pyramids of Giza. The GEM is expected to launch in the spring of 2018. Egypt is building another airport north of Cairo, near Kattameya, to facilitate visits to New Cairo and the new administrative capital.